Many assaults happen on the ground. Perhaps the assailant attacked while you were napping, enjoying the sun…. Most often, he knocked you down or you lost your balance and fell. 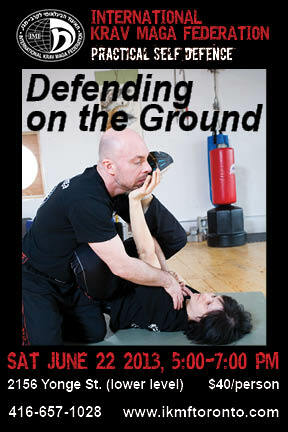 You are in a very vulnerable position as an attacker (or attackers) can assault you in many ways. Beginners are very welcome! Please bring indoor running shoes.